Our annual church weekend away is such an important time in the life of the church: a time to be with family, a time to be freshly envisioned, a time to be equipped, and a time that we should all prioritise. It is a wonderful time to celebrate the amazing covenant life we have in Christ, and God is always faithful to bring direction for the way forward together as a family. As this year’s conference will be directly followed by the OCM Elders & Wives Conference, we will have even more family with us from the U.S. and German churches. As always, we come first to worship our Lord Jesus Christ with all of our hearts, to proclaim His goodness, and experience His wonderful presence. Year after year we have been privileged to have God speak to us, direct us, and inspire us in both the prophetic and preached word. We look forward to this time together with much anticipation! John Lalgee is originally from the northwest of England. In 1984 at the age of 19, he submitted his life to Jesus Christ, and over the following nine years served in many areas of leadership in churches in the UK. In 1993, John moved to Kenosha, WI, USA to marry Kim Pingitore, and in 1994 was set-in as an elder of Living Light Christian Church by Bryn Jones. November 2003 marked the transition for John to begin fully outworking his apostolic gift by planting a church in Taunton, England, and soon after, taking on the apostolic oversight of Covenant Life Church in Cadillac, MI. In 2007, John returned to the U.S. and planted Living Light Christian Church, Racine, WI. In 2012, the Lalgee family returned to the U.K. to plant Living Light Christian Church, Wellington. John is currently back in Kenosha, WI where he serves the family of churches in One Church Ministries, strategically spending his time with each congregation. John and Kim have four adult children: Claudia, Carmen, Jevan and Vivienne. Scott Goodwill was born and raised in Cadillac, MI, where he started following the Lord at a young age. At 18, Scott immediately began pursuing biblical training as well as serving in local church leadership. He received training from Rhema Bible Training Center, Covenant College, Kuyper College and Reformed Theological Seminary. Scott worked in leadership at Covenant Community Church in Memphis, TN, founded and served as an elder at Living Light Christian Church in Cadillac, MI, and served as a teacher in Ministries Without Borders. Currently, Scott resides in Kenosha, WI, and works with John Lalgee as part of One Church Ministries, serving the churches as a teacher and as the Director of the School of Leadership. He and his wife, Ronda, were married in 1993 and have three wonderful children: Aiden, Kate and Benjamin. Gary was born in Cincinnati, OH, and spent most of his life in Cadillac, MI. In 1988, while earning a degree at Central Michigan University and coaching high school football, Gary was born again and joined Covenant Life Church (now Living Light Christian Church) in Lake City, MI. In 2001, Gary moved to Living Light Kenosha to participate in a one-year evangelism program. There, he met his wife, Amy, and they were married upon returning to Cadillac in 2002. Gary joined the staff of Living Light Christian Church, Cadillac in 2005 and was set in as an elder in 2007. Gary and Amy have four children: Grace, Lily, Samuel, and Elliot. Upon arrival, please check-in at the OCM table in Victoria Foyer. Located in the Richmond Lounge. Everyone must be checked-out of their hotel rooms by 11am. 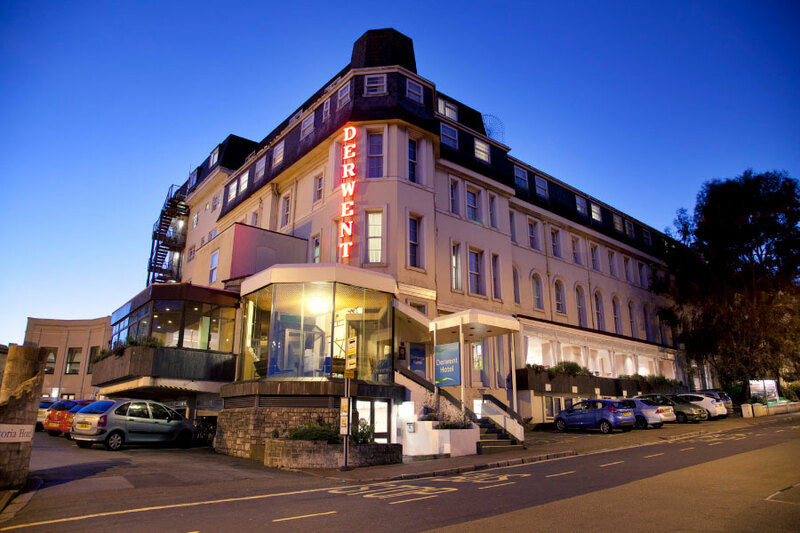 We are excited to return to TLH Leisure Resort in Torquay for this year’s conference. TLH Leisure Resort is a complex of four hotels connected under one roof: The Derwent, The Victoria, The Carlton, and The Toorak. All of our conference meeting rooms & children’s classrooms will be held in The Victoria. We have all of The Victoria Hotel this year and expect to quickly fill it! Register early to ensure sleeping rooms in The Victoria; once full, we will try to book additional rooms in the other three hotels, but can’t guarantee space beyond The Victoria. TLH Leisure Resort has 7 car parks and 294 car parking spaces which are free to hotel guests on a “first come, first served” basis and cannot be guaranteed or pre-booked. All guests are required to display a free parking permit, which is available from your hotel reception. You have 2 hours from arrival to display a permit in your car. Failure to display a permit may result in the TLH parking attendant issuing a penalty ticket. Your luggage can be unloaded at the hotel front entrance on arrival prior to parking your car. Any driver with a Blue Badge can request a reserved space in advance by contacting 01803 400500. Specific disabled parking is limited and once disabled bays are all taken, Blue Badge parking may not be in a designated bay and the width of the bay will therefore be limited. In the event that all hotel car parks are full, there is plenty of free off-street parking in the surrounding area, including Falkland Road, Lime Avenue and Bath Lane. In addition there are 3 pay and display car parks within a short walk. The hotel receptionists will be happy to provide you with more detailed information on arrival. Conference fees include: hotel room, all meals (excluding Saturday lunch), tea/coffee, bedding & room towels. Please bring your own towels for the swimming pool. Registration for the conference is now closed. Please contact Sheila Ledger at sledger@livinglightchurch.com to enquire about visiting as day guests. After entering your registration information, please indicate whether you intend to pay by BACS, cheque or cash (via tithe envelope) or credit/debit (this option is for international guests only). Please mark your payments for “OCM Conference UK 2019.” Payments may also be made in instalments (arrange directly with Glyn Hammond). If you envisage having difficulty paying for the weekend, please complete registration and speak to an elder… do not delay registration due to insufficient funds, as space will fill up quickly! Go ahead and register for the conference now and then contact one of your elders (right away) to discuss payment. Payment deadline is Friday, March 22.